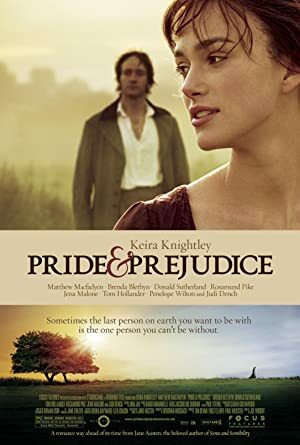 Pride & Prejudice (2005) – What's New on Netflix Canada Today! The protagonist Elizabeth Bennett is a witty, sarcastic, somewhat stubborn young lady who really has an opinion about quite a lot including why she would not marry simply because of it is expected of her. Mr. Guy Darcy is a shy, rich, man who defiantly believes there is such a thing as superior birth. Sparks fly when spirited Elizabeth Bennet meets single, rich, and proud Mr. Darcy. But Mr. Darcy reluctantly finds himself falling in love with a woman beneath his class. Can each overcome their own pride and prejudice?